Head of sales, at 32, reads a popular advertisement for an online headhunting firm. Most kids, at least of my generation, when asked what they wanted to be when they grew up, would’ve answered engine driver or fireman. Alright, I did say I want to be an eye doctor, at least for a few days, but I’d have been happy to be a mechanic. In fact, my mom was afraid that I might be little else, given the rate at which I seemed to take things apart in our house. However, rarely did “head of sales" figure in our lists. Then there were people of my dad’s generation, who had to grow up really fast. “Make a good living," I suspect, was the degree of forethought my father had. Make good he did, but it was in his mid-40s that he got to where he felt comfortable, I suspect, of having accomplished something. And it was in his late 50s that, having gotten his kids married, he was prepared to look beyond his job. Popular literature and certainly comedians think this is when we start getting our mid-life crises—get that motorcycle we hankered after in our youth or the red convertible. And of course, Hollywood would have us believe that that’s when men (more than women) trade in their spouses for younger models. Do women have it any easier than men? Women the world over talk of the challenges of balancing their personal needs, the demands of their families and their professional lives. And that is for those lucky enough to have choices. Even the most successful of women ask themselves hard questions about the choices they have made, and in countries like India, where a large proportion of women are disempowered socially and economically, they seem to have even less control on their lives. So, should we tell our kids, who aspire to be astronauts or singers on television, that they should get their head out of the clouds and aspire for more realistic and modest goals? And, even if they make it to head of sales at 32, it might not be everything that it’s cut out to be. And what about ourselves? Do we know what we want and how to get it? Given our commendable track record thus far, should we be even allowed to talk to children and advise them? Since we can’t or in my case won’t avoid it, how do we figure out what it is we want, even after we’ve grown up, and how do we go about getting it? Goals! 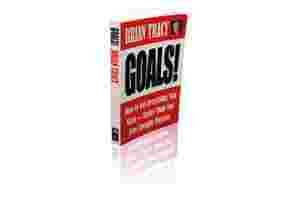 by Brian Tracy asserts that it will tell you “How to Get Everything You Want—Faster Than You Ever Thought Possible". Tall as that claim appears, Tracy’s own life—from an underemployed young man in a dead-end job to one of the most successful inspirational speakers and sales trainers of the 20th century— should give you pause. Despite its heft, at 291 pages, Tracy’s down-home storytelling style makes it a breeze to both read and connect with. The key to me is that it handles some deeply philosophical questions about self-knowledge, without using any of the words that are in this sentence. For those of us who have Type A personalities, there are clearly outlined steps to follow and lists to check out. I’d like to add one item to the top of that list—get this book and devour it. K. Srikrishna is the executive director of the National Entrepreneurship Network. He writes about issues that business leaders and managers face and books that could help.